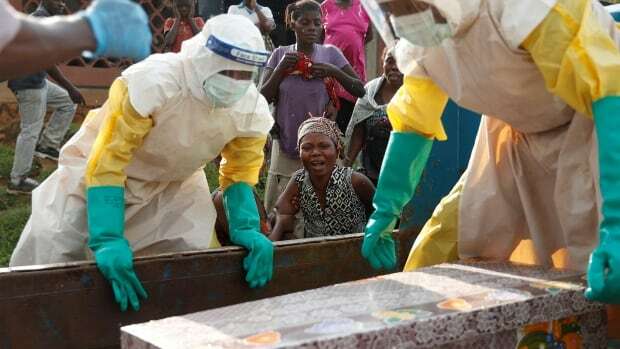 Congo on Wednesday confirmed 14 new cases of Ebola virus in its eastern borderlands, the largest one-day increase since the current outbreak was declared in August. In all, the hemorrhagic fever is believed to have killed 439 people and infected another 274 in the eastern provinces of North Kivu and Ituri. Health officials have struggled to bring the current outbreak, Congo's tenth since 1976, under control, largely due to widespread militia violence in eastern Congo which has hampered the response. The health ministry said in a daily bulletin that nine of the new cases were in the health zone of Katwa, just outside Butembo, a city of several hundred thousand people near the Ugandan border that has emerged as the outbreak’s new epicenter. One other case was in Butembo. Earlier this week, drugmaker Merck said it will ship another approximately 120,000 doses of an experimental Ebola vaccine to Congo by the end of next month. Associate Vice-President Lydia Ogden told the World Economic Forum that the company is committed to having a ready stockpile of 300,000 doses and already has shipped 100,000 to the World Health Organization. Carrying out vaccinations is also complicated by poor infrastructure and in some cases hostility from communities that have never faced an Ebola outbreak before.